With The Emoji Movie coming to cinemas this year, it's an interesting time to consider who, if anyone, owns "emoji", and what that even means. The images. Who owns the emoji images? The term "emoji". Does anyone own this? It’s worth breaking down what each of these means separately. When many people think of emojis, they are often thinking of Apple's emoji artwork. 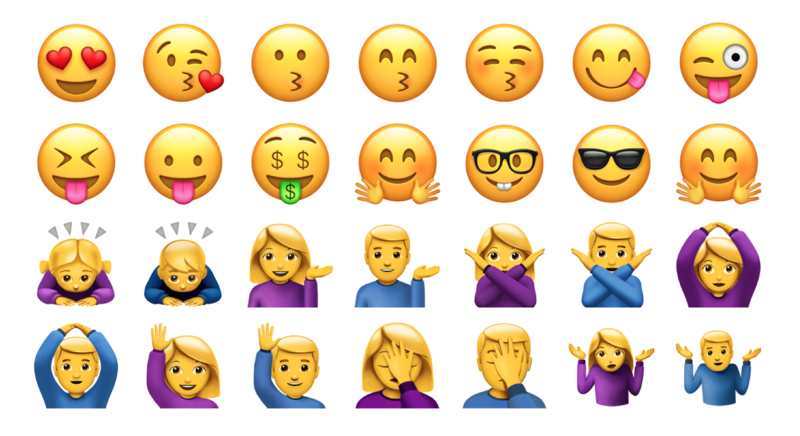 These emojis are included in iOS and macOS as part of the Apple Color Emoji font. Above: Apple Color Emoji Font. This font belongs to Apple, as do the emoji images within it. Given that copyright protects original works of authorship including literary, dramatic, musical, and artistic works, this would likely also apply to emoji images. Apple has not made licensing options publicly available for Apple Color Emoji. As such, those wanting to use Apple’s emoji images may be restricted to using these images in a way that could be considered fair use. Where the boundaries exist for fair use are unclear, and for emoji, may be untested at this stage. If you are looking for specific answers about when it's appropriate to license emoji, you might want to look further than this article. In particular, it's unclear exactly which methods of using an Apple emoji image would be considered reasonable, and which could be problematic. The word "emoji" is a generic phrase, created by combining the words (絵, "picture") + moji (文字, "character") in Japanese. In essence, the word has the same meaning as pictograph (or pictogram) in Japanese. It's coincidental that the word sounds a bit like emoticon, which is a portmanteau of "emotion" and "icon" in English. Both emoticon and emoji are generic phrases, as are the terms pictogram or pictograph. No-one owns the name emoji, just like no one owns the name tree, house, computer, or icon. While there are many people and companies involved at various stages of emoji approval — particularly the Unicode Consortium — none claim ownership over the name emoji. "The answer begins with the principle that, in general, the law does not allow a company to claim as its proprietary mark a generic term, that is, a word that identifies the type of product or service involved, such as “Software” used to identify a software product or “Apple” used for fruit (as opposed to as “Apple” used as a trademark for computer technology: such arbitrary uses of words are highly protectable)." Note that last line that "arbitrary uses" of words are "highly protectable". So it may be possible to register "emoji" as a trademark, for a business that has nothing to do with emojis. "Since everyone deserves the right to accurately identify the type of goods or services it sells, to allow a single company to claim trademark rights to a generic term would impoverish the language and unfairly hamper competition." So that covers what it means to register a generic term as a trademark. So Can Emoji be Trademarked? It might be possible to register "emoji" as a registered® trademark™ for products or services that don't relate to icons, smileys, stickers, or other pictographic imagery in any way. Basically, for businesses that have nothing to do with emojis. In fact, it is possible, as some companies have already registered "emoji®" as a registered trademark for various products. What's not clear from various filings is whether these are emoji-related businesses; or simply companies that have nothing to do with emoji as we know it, and using the term in an "arbitrary" way. Bringing this back to Sony's upcoming film: The Emoji Movie. It appears that Sony has taken a smart route in developing this animated film, by creating their own original emoji characters. This should avoid much complication when it comes to merchandising for the film. Above: Original emoji characters created for The Emoji Movie. Image: Sony Pictures Animation. 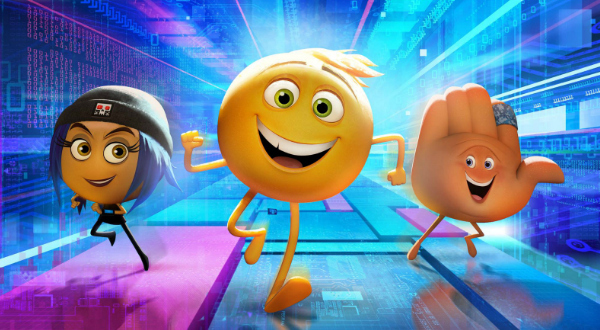 Movie merchandise is big business and there's no doubt Sony Pictures Animation wants to ensure that its own version of the "emoji" characters are easily identifiable as its own.